A service to members and visitors. Members are encouraged to share examples of practical applications that might be of interest to other members. Please email your contribution to the Regional Administration Officer. Thanks to Allen Hicks of the Shire of Wagin for the following contribution. Runoff from Go-Kart track to White Dam: 9,000kl. Weir to Dam's pipeline with a 3km lead and 26.18 metre head. Litres pumped per hour: 27,000 litres at a cost of 5 cents per litre. 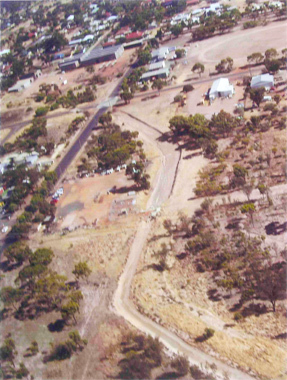 Town Oval grassed area of 4 ha - water usage per year 30,000 kl. School Oval grassed area of 2.5 ha - water usage per year 15,000 kl. 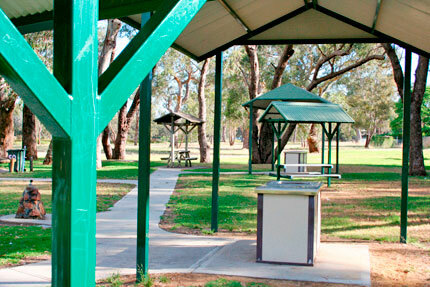 To water the Town Oval with Scheme water costs $45,000 compared with Dam water $9,000. To water the School Oval with Scheme water costs $22,500 compared with Dam water $4,500. This is a total saving of $54,000 per year. Water pumped from the Bowling Club dam to Wetlands 4,000 kl to 6,000 kl per year, which is a saving of $4,000 - $7,000 per year on scheme water.